Are you tired of giving the same old holiday presents? GIVE the gift of watersports this season and GET an additional free Kayak or Stand Up Paddleboard rental when you purchase before December 20. You are sure to impress that special someone with your thoughtful and unique gift-giving skills when they unwrap a gift certificate for an amazing experience on the water. Whether it’s a class, package of classes, rental, or private lesson, there are plenty of options for the perfect unique gift or stocking stuffer. And even if you can't decide and would rather leave it up to them, you can choose any dollar amount to give as a gift card that can be redeemed online or in person. 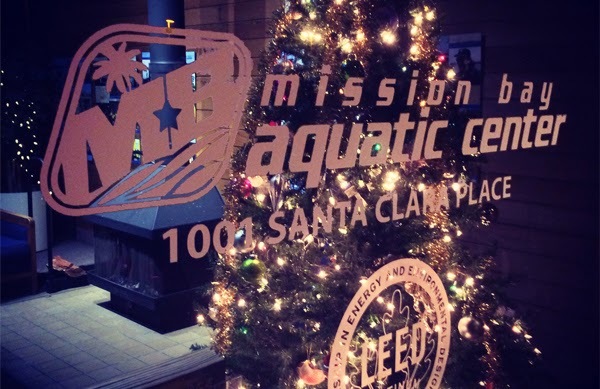 In the spirit of giving, MBAC will also give you a free 2 ½ hour Kayak or Stand Up Paddleboard rental along with the purchase of any gift certificate from now until December 20th that you can use for yourself, or give to someone else on your list. Either way, we wish you and yours a terrific holiday! Stop by, visit our website, or give us a call at(858) 488-1000 to purchase your gift certificate today!